Whether you want to spice up your work wardrobe or skate down a half pipe, try on a pair of Reebok Men's Black RB1910 Soyay EH Skateboard Steel Toe Shoes. This premium footwear is slip-resistant so they'll keep you on your board or feet in wet and oily condition ... (see full details) (see specifications) #RBKRB1910. Whether you want to spice up your work wardrobe or skate down a half pipe, try on a pair of Reebok Men's Black RB1910 Soyay EH Skateboard Steel Toe Shoes. This premium footwear is slip-resistant so they'll keep you on your board or feet in wet and oily conditions, and they'll hold up well to being scuffed against concrete or coming into contact with chemicals. 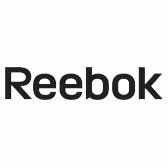 This Reebok style also offers you premium protection against heat and metal chips. The skateboard safety shoes are lined in Tailex to wick away moisture. The insoles have a removable EVA cushioned insert with a sponge rubber heel wedge for your comfort. They feature a two color converse ViperGrip Plus rubber outsole and an EVA cushion midsole for great traction and comfort. Although the toes of these Reebok shoes are made of steel, there's no metal on their uppers, so they're as light as possible. In addition the steel toes in this footwear will keep your feet from getting crushed in a bad fall. They meet ASTM F2413-05 safety regulations, and are EH-certified. However, their black, suede leather exterior looks so casual that you can wear these steel toe shoes every day and your friends won't give you funny looks. After all, you never know when you'll have an opportunity to jump on a board. You'll always be ready in your Reebok Men's Black RB1910 Soyay EH Steel Toe Skateboard Shoes. Go ahead and order your pair online from the Working Person's Store today. If you like the C1910, you will love the RB1910. I have purchased 4 pairs of these overtime, yes I am very hard on work shoes. I appreciate these kicks because there is no need to break these in like traditional steel toe's. I just put them on and go to work as if they are regular sneakers. Most people don't even realize these Reebok shoes are steel toes until it comes up!! They look good and give you steel toe protection at the same time, what else could you want? They are built well. I have had them for about a month and they look and feel as if brand new, I think they will last well. They are a little heavy for a shoe but my feet used to be so sore when I was working on my feet for 12 hours a day and now with these reebok shoes my feet do not ache at all anymore. It is very nice. The first thing I used to do when I would get off work was take my boots off and I have found myself wearing these reeboks until I go to bed. These are a decent pair of steel toes.They are light and about middle of the line for comfort.I will probably buy another pair in the future. I would recommend these shoes for people who work in manufacturing factories and restaurants for the great slip resistant grip. On the plus side, these have to be the most comfortable work shoes I've ever owned/used. So much so that I also wear them for every day use! The only negative thing I can say is the soles will absorb anything you walk in and tend to leave a trail of oil, grease, or even antifreeze for the next several steps after. This makes me crazy on our grey epoxy shop floor. Reebok Shoes: Men's Black RB1910 Soyay EH Skateboard Steel Toe Shoes is being added to your cart.